PRESENTING- The Miami (of Ohio) Redhawks (formerly the Redskins). 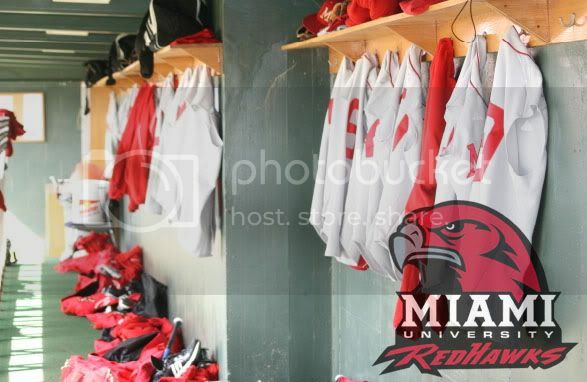 Playing baseball since 1915, the Redhawks sport a nice 1683-1284-10 all time record. Located in Oxford, Ohio; Miami is kind of an under the radar party school; with a huge Greek population (about 1 in 4 MU students is in a frat or sorority) and a pretty active social scene. Some Miami folks you've probably heard of include Bo Schembechler, Wally Szczerbiak, Ben Roethlisberger, Ara Parseghian, and oh yeah, Nick Lachey. Despite being one of the oldest schools in America, Miami has never won a national championship in any sport (besides the unrecognized synchronized skating). For those folks who might be curious, the original Redskins nickname (and the name of the school) comes from the Miami tribe, who were found throughout Indiana, Ohio and Southern Michigan. PREVIOUSLY- MU comes in limping, with a 2-4 record. They dropped their season opener to Clemson 11-0; rallied to blast Furman 23-5, and closed out their first road weekend with an 11-5 loss to Michigan State. The Redhawks played their first real road series last weekend against the Ragin' Cajuns of Louisiana-Lafayette. 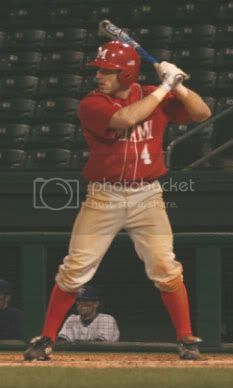 After squeaking by for a 7-5 (11 inning) win in the opener, Miami dropped the final two games 13-2, and 5-4. MU and AU have met 4 times (both on a neutral field in Florida) with the (then) Redskins and Tigers splitting the all-time series 2-2. The year, MU was tabbed to finish 4th in the MAC east. PLAYMAKERS- One name to remember this weekend: Adam Eaton. That's the stud for the Redhawks. The 5'9 Jr/LH/OF from Springfield is having a monster season. In just his third year for MU he is already tied for 5th in school history with 11 triples, including 2 this year. He's a speedster and is a perfect 5 for 5 for stolen bases. . . He comes in with a .478 BA, 12 runs, 5 sb, 2 triples, and a .870 slugging %. Those gaudy numbers have him in the top 5 in almost all of the MAC offensive categories. In that drubbing of Furman, Eaton put up this monster of a line: 6 for 6 with 5 rbi, 2 doubles, a triple, 3 stolen bases and he was hit by a pitch. Those are video game numbers and Eaton was named MAC East Player of the Week for his performance. He normally slots as MU's leadoff guy, so we'll get to deal with Eaton right out of the box. Other than that? Not that much to speak of. I should probably mention RHP/C Jordan Jankowski. The Sophomore pretty much beat UL-L all on his own. He both pitched and hit in the extra innings (thanks to MU running out of hitters). He threw the final 3 innings and pitched lights out (5ks, 0h, 0r) and then hit the go ahead 2 rbi single. He finished up the clean frame at the bottom of the 11th on the mound to secure his hero status for the weekend. PREVIEW- Honestly, I can think of any way to spin this. Miami just isn't good. I mean, they try and they did spank Furman, but, their pitching staff is worse than Auburn's at this point (with the higher ERA to boot). Melling (the de facto ace) has improved from week to week, but still gives up a ton a hits. Fiala probably just needs to be stretched out. His ULL line wasn't that impressive, but the 5ks in 5 innings isn't something to take lightly. Bottom line is that pitching is a huge weakness for MU. One that Auburn can really take advantage of. Especially on Saturday and Sunday, when Kevin Patterson should be back in the lineup at DH. 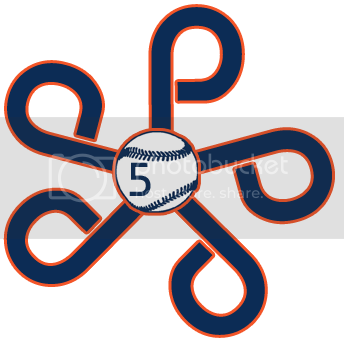 Casey McElroy will also return to full strength, so that should hopefully cut back on some of the errors that have plagued the infield. As long as we can contain Eaton, and give JLJ and Dayton a nice cushion to work with, then Auburn should be fine. The Sunday starter is still up in the air. Coach Palowski thinks Cole Nelson (who is tending to his sick father) could be back by Friday. If not, then he will have to skip his normal Sunday start. If Nelson can't go, something tells me we could see Slade Smith makes his Tiger debut. Smith didn't see any action in the midweek set against Davidson (which tells me that he was being held for Sunday just in case). PREDICTION- Auburn shouldn't drop any of these games. Seriously. I say Auburn sweeps (and if we don't then I'll need a stiff drink).